Vermont has eight times as many nonprofits as it has dairy farms — and unlike the milk industry, the state’s charitable sector just keeps growing. To report this series, Seven Days’ news team relied on publicly accessible nonprofit tax filings, known as IRS Form 990s. 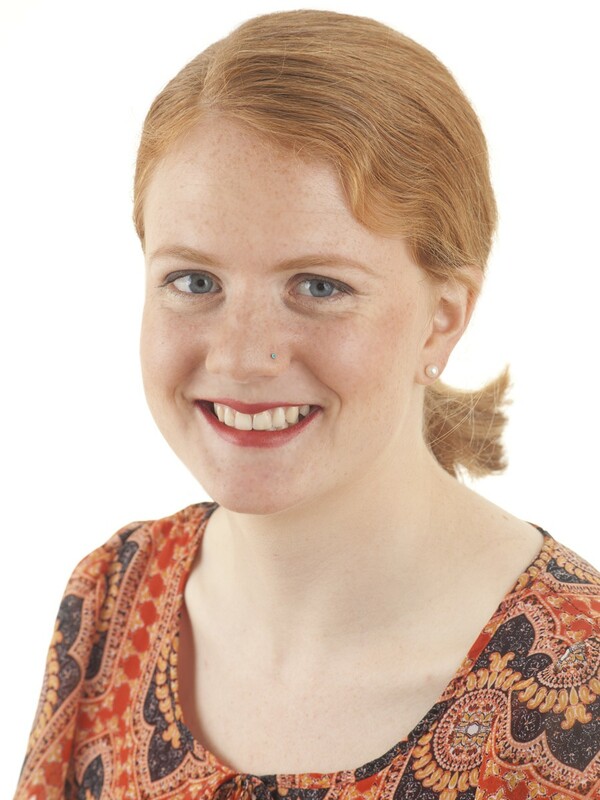 Digital editor Andrea Suozzo turned those thousands of filings into a database, called the Vermont Nonprofit Navigator. Seven Days reporters and editors have been mining it in search of stories; now readers can, too. 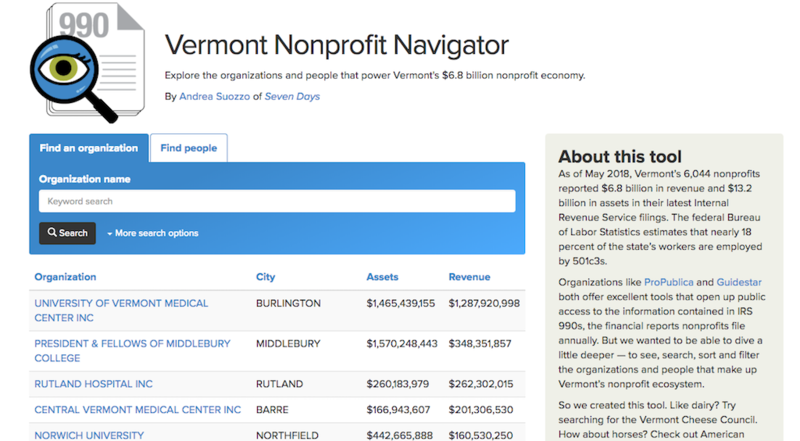 Seven Days has made the Vermont Nonprofit Navigator available to the public, for free, at nonprofits.sevendaysvt.com. The database doesn’t include all nonprofit organizations. Some of them — including churches, semi-governmental entities and those with annual revenue of $50,000 or less — report more limited information. And a word of caution: As with any tax filings, the Form 990s may contain errors. Still, the Vermont Nonprofit Navigator will be of use to anyone interested in learning more about these important entities, and the role they play in Vermont. Find the Vermont Nonprofit Navigator at nonprofits.sevendaysvt.com, and check out all the stories in the Give and Take series. Who cares for Vermonters in need? The state has increasingly outsourced those jobs — and hundreds of millions of dollars — to an ad hoc network of private nonprofits. The three highest individual spenders on lobbying during Vermont's 2018 legislative session were all nonprofits. Nonprofit gaming is a surprisingly large industry in Vermont — one that hauls in millions of dollars with little regulation or oversight. Bob Beauvais distributes proceeds from break-open tickets sold at his tavern through his nonprofit, Old North End Charities. Where the United Way of Northwest Vermont is cutting back, the city of Burlington is giving more. According to IRS filings, the state's 6,044 nonprofits reported annual revenue of $6.8 billion and assets of $13.2 billion. These public-private hybrids, funded by the wealthy and the state, have become a sort of shadow government. Eighty one Vermont nonprofits paid at least one staff member more than $200,000 in 2016. These high earners include the leaders of Vermont's top hospitals and colleges. In Katie Jickling's do-it-yourself case — no lawyer involved — it took four months, two dozen forms, a handful of phone calls and $400 to turn Girls Empowered, Motivated, Strengthened into a 501c3. Why Are Fraternities and Sororities Exempt from Federal Taxes? It's not just animal shelters, churches and food shelves. The host of that kegger you crashed in college might have been a nonprofit. Three of the four Democratic candidates in this year's gubernatorial race are nonprofit leaders. Corey is the Marketing and Events Director for Seven Days and Kids VT.
Andrea is the digital editor at Seven Days. She spends most of her time behind the scenes keeping the website in order, overseeing social media and playing with data and code.